Other than sporting an enormous display, what features will make Apple’s iPhone X Plus unique? For my money, the iPhone X’s 5.8-inch display is the perfect size, but these new rumors about the iPhone X Plus have me feeling a little jealous. 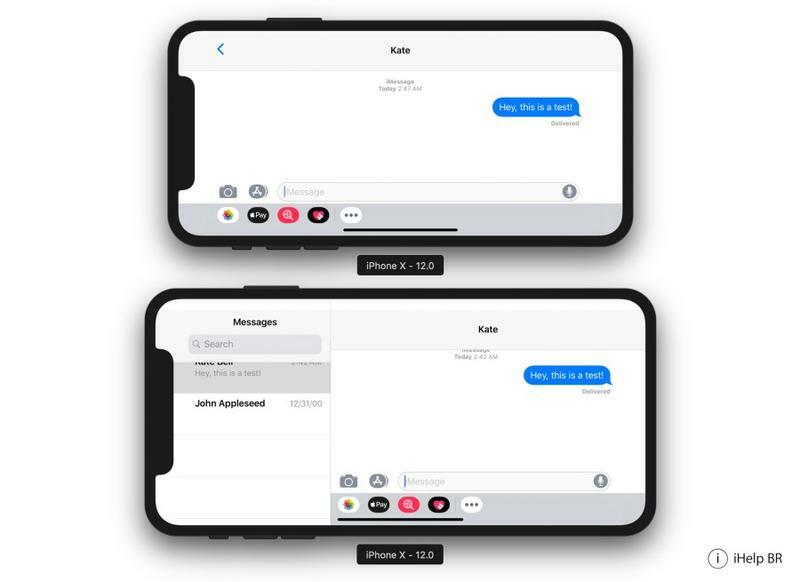 According to snippets of data from the latest beta version of iOS 12, the iPhone X Plus will behave similarly to Apple’s iPad. Apparently, the extra real estate of the 6.5-inch display will support a landscape mode found in the iPad. The mode provides users with more information in apps such as Calendar, Mail, Contacts, and more. 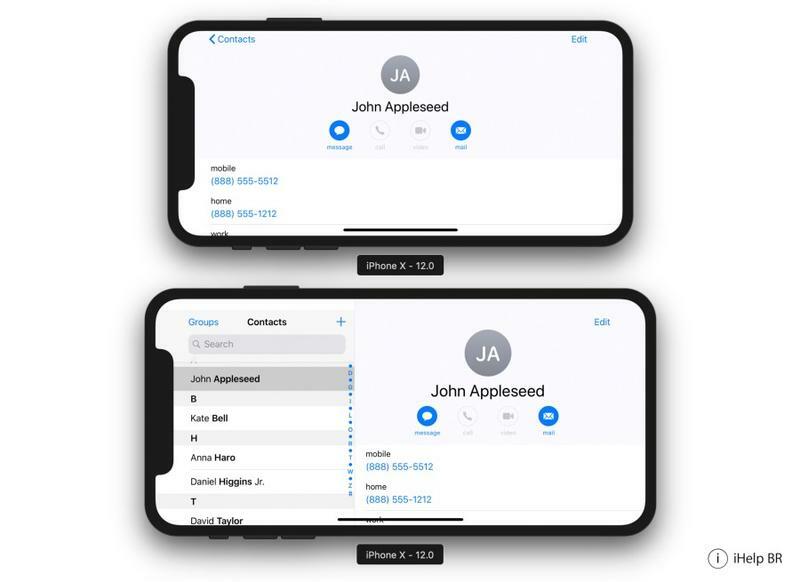 iHelpBR has images of what the iPhone X Plus might look like when in landscape mode. Compared to the iPhone X, much more information is provided. 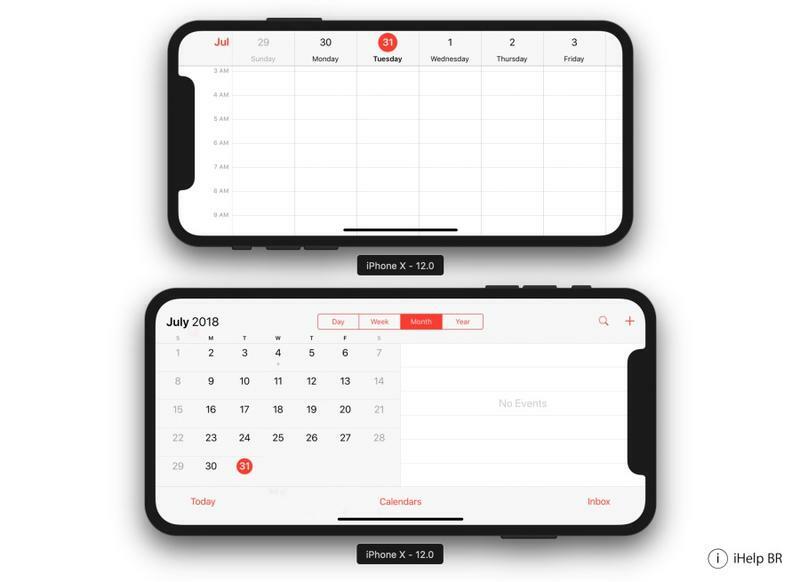 The Calendar app, for example, provides users with a month view and a look at a particular day’s events at the same time. It’s not a drastic change compared to the current layout of the iPhone X, but it could elevate the experience. As MacRumors notes, Apple previously introduced landscape features in iOS 8 with the release of the iPhone 6 Plus. It appears Apple will utilize a similar strategy to make the iPhone X Plus an enticing option when it launches this fall. The iPhone X Plus is expected to feature a 6.5-inch display with a resolution of 2688 x 1242 and an overall footprint similar to previous Plus models.